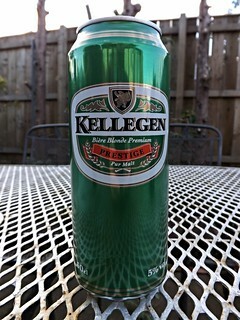 Beer and Me: Kellegen Beers. 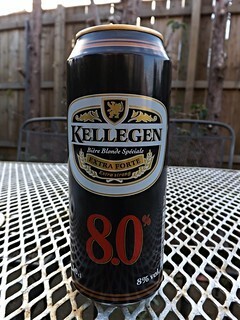 Just had some French beers by Kellegen while watching the football and even found some more that I had written about a while ago, so I just had to do this for them all. Just realised that all of these beers were bought while on holiday in France over the years and all of them were bought from a Casino Supermarche. 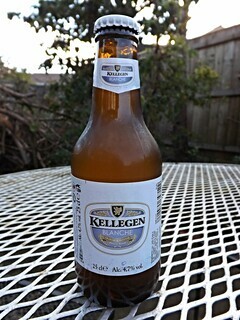 8.0% gold colour with a nice head, malt aroma, quite a nice lager taste, not too strong at all, well the taste isn't. 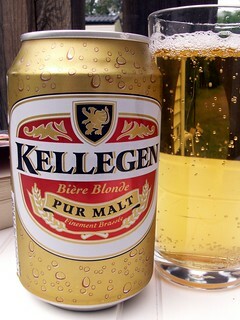 5.0% gold colour with a thin head, sweet malt aroma with a mild dry taste. 4,7% cloudy yellow with a nice but quickly disappearing head, malt aroma, slightly bitter but nice French wheat beer taste. 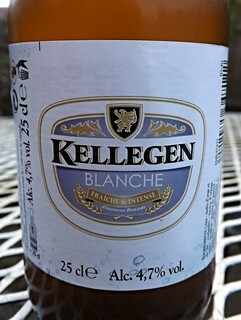 4.2% pail gold colour with a thin head, sweet malt aroma, bitter sweet malt taste, had this one on holliday in France in 2013. 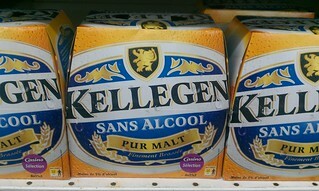 1.0%, didn't buy it, just took the photo with my phone, in 2012 in a supermarket in France. By the way we will be back in France next year.